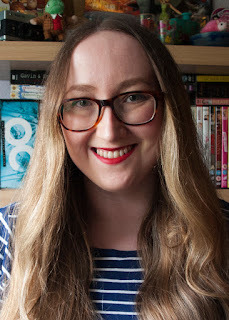 Anastasia Gammon: stasialikesbooks | Would you rather: book edition. 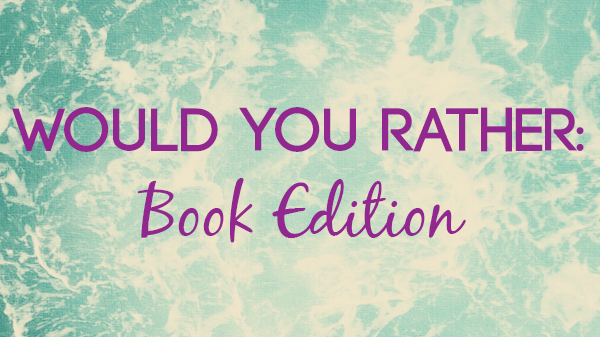 stasialikesbooks | Would you rather: book edition. Would you rather read only trilogies or only stand alone novels? Definitely stand alone novels. One really good book is always better than a trilogy where the story's been all stretched out to fit the extra books in. Would you rather read only male or female authors? Female authors. There's still one Raven Boys book to be released and I am not missing out on that! Would you rather shop at Barnes & Noble Waterstones or Amazon? I would rather shop at Waterstones but when you buy as many books as I do sometimes you have to go for the cheaper option, you know? I do prefer a proper bookshop though. Especially because there isn't one where I live. Would you rather books became films or TV shows? I love TV but thinking about it, if a book is made into a film then yes some things will have to be left out but if it's made into a TV show then eventually whoever is making it is going to run out of source material and have to add things and make up extra story lines and I think for a book I really love I'd prefer having things cut out for a film than have that happen. So I'll say film. Unless we're talking about a one off mini-series... This is a very complicated decision. Would you rather read 5 pages a day or 5 books a week? Definitely 5 books a week! Would you rather be a professional reviewer or an author? Would you rather read your favourite 20 books over and over or only read books you've never read before? I'll say books I've never read before because I may miss my old faves but maybe I would find some new ones?? A bookseller. Think of me as the female Bernard Black. Would you rather only read your favourite genre or every genre except your favourite? Only my favourite genre because my favourite genre is probably contemporary YA and there is a pretty good variety in that genre, I think. I could probably deal with that. Would you rather read only physical books or ebooks? YES. THIS IS EVERYTHING I WANT.